2009 began with my decision to rise early on that first morning and take a walk around a frost glazed Cannock Chase. This was really enjoyable, and something I hoped to do every year, yet somehow I ended this one watching fireworks launch over Sydney Harbour bridge—two experiences that couldn’t have been more different. I was still freelancing at the beginning of the year, with much of my time devoted to Apture, a start-up based in San Mateo, California. I had been working closely with Tristan, the company’s CEO since November 2007, and the focus was now on building an innovative media browser (or ‘Media Hub’) for site editors, as well as tools to embed Twitter streams and US Congress data into web pages. These were all interesting products to be working on, and I could have continued to work with Apture (or any number of other US-based companies given my contacts there) for some time, but I really wanted to look for opportunities closer to home. Since freelancing for Clearleft, I had discovered that working socialable hours surrounded by my peers (and often working with high-profile clients) was something I craved, and started to think seriously about freelancing for different agencies in and around Brighton. Working with Clearleft again in May, Andy asked me if I would like to join the company full-time. The answer was only ever going to be yes. Joining the team in Brighton has been nothing short of inspirational. Being surrounded by such talented colleagues has forced me to up my game, challenging assumptions about how I work, and making me consider new ways to solve design problems. I’d like to think it has pushed me to write better content for this blog, whilst ensureing the release of my social icon set. I doubt I would have made these public had it not been for the supportive environment I now find myself. Last year turned out to be another great year for travel, and thankfully one a little less US-centric. However, rather unexpectedly, my first trip overseas was to San Francisco in January. As the ‘Media Hub’ project was ramping up at Apture, Tristan asked if I could come out to their offices to spend a week face-to-face with the team. With much of the cost to be covered by them, and with the real possibility of making some progress on that particular project, I boarded another San Francisco bound flight. 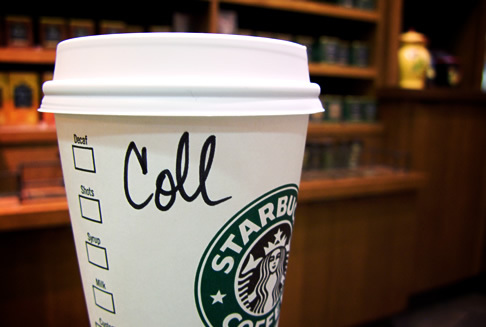 That’s Not My Name, one of the many reasons I grew tired of travel within the United States. Of course this was also an excellent opportunity to catch-up with friends in the area, and most evenings were spent in the company of former colleagues. Yet being back in San Francisco reinforced my belief that I should be travelling more to other countries. Seeing an advert for railselect.com, I contacted them asking them to create a customised itinerary, one that would allow me to see as much of Europe as I could by train in three-weeks. 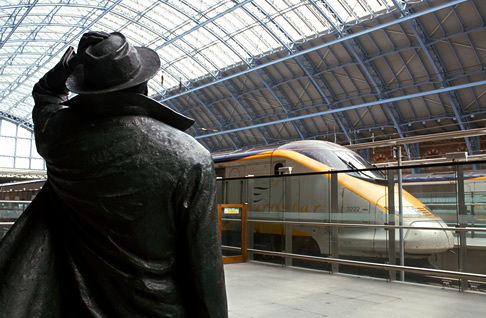 Sir John Betjeman looks towards the Eurostar at St. Pancras Station. This brief tour around Germany, Austria, Switzerland, Spain and France was possibly the highlight of the entire year. From boarding the Eurostar at the fabulous new St. Pancras International station in London, to travelling on a cog railway with a 45-degree incline up to the summit of Mount Pilatus in Lucerne. Or relaxing on the beach in Valencia, climbing up 509 steps to the top of a 98-meter tall spire at Cologne Cathedral or exploring former Olympic venues in Munich, Barcelona and Innsbruck. I would happily do the whole trip again. 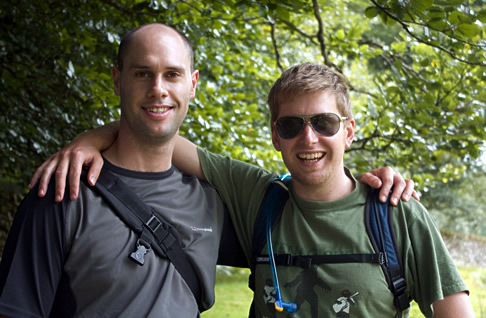 Lee and Jon on the Precipice Walk. The annual weekend trip to Coed-y-Brenin in north Wales is always something to look forward to, and 2009 was no different. Each year seems to become a more relaxed affair, with different people choosing to break off into different groups to do their own thing, before reconvening around the camp fire in the evening. In that regard, Jon, Nash and myself decided to venture along the popular Precipice Walk, which provided stunning views across the Mawddach Estuary and the mountain ranges of Snowdonia. Finally, as my previous posts have recalled, I spent the end of the year in New Zealand and Australia, which is something I’ve been meaning to do for several years, and so glad to finally accomplish that goal. ’ and a renewed interest in Formula One. 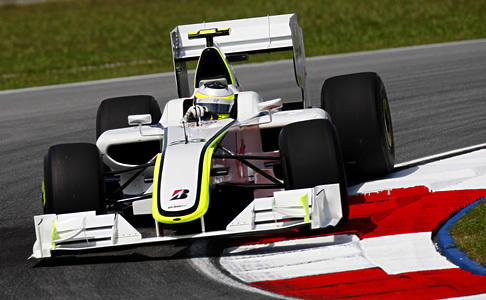 The 2009 Formula One World Championship, and in particular debut entrant Brawn GP, gained my full attention throughout the year. With a return to the BBC after 12 years that coincided with the excitement surrounding the new Brawn GP team, it was hard not to get immersed in the sport. With Jenson Button at the wheel of one of the Brawn cars, and with it a real (yet surprising) prospect for a second consecutive British world championship winner, I was hocked all season. Perhaps the only other television event to grab my interest was the second series of Ashes to Ashes, yet I remember this as being a disappointing, ropey and inconsistent affair with a rather peculiar finale—although I’m still keen to see the shows conclusion later this year. In the spirit of the times we now live, and hopefully with an eye to more thoughts on this blog about green issues, for the first time in such a retrospective I’d like to recap on the changes I’ve made to lessen my impact on the environment. The biggest of these was probably ending my reliance on the car. Since returning from the States I had been borrowing my mothers car, but on moving to the South Coast, this was no longer an option. The choice was either to buy a car of my own, or start to use public transport exclusively. Thankfully, the rail connections here are particularly good, and I’ve found travelling back home on the train to be less stressful than it can be by car—at least when the trains are running on time! I’ve also tried to focus on the little things, be it turning electrical items off at the plug, using a bag for life (or feeling incredible guilt when I’ve forgotten it) or reusing plastic containers when getting a meal from the local chinese takeaway. In this respect, the decision to travel around Europe by train was a conscious one, yet for a trip that involving so many different cities, flying would have been more inconvenient anyway. One of the great benefits of rail travel is that you arrive right in the centre of a city minus any of the fuss involved when flying. However, I still took several long hall flights (London→San Francisco return in January, and London→Los Angeles→Auckland, Wellington→Sydney→Melbourne→London in December). Whilst I did carbon offset these flights (and indeed finally got around to offsetting all my previous flights too) that’s still not the same as not taking them in the first place. With that in mind, I will write about how I plan to change this habit in a forthcoming blog post. dConstruct has long combined its conference programme with the name badge, a simple yet cost-effective design. This year we hope to go one better.